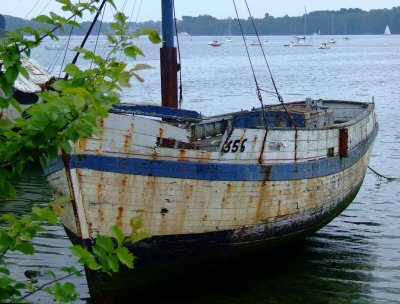 In the inlet of Quelmer near the edge of La Passgère, lies a boat cemetery next to a boat yard. 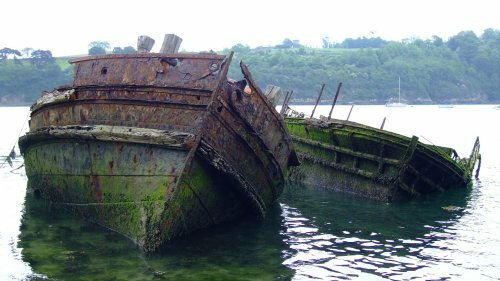 The wrecks there alongside boats to repair or simply at anchor. Here are some photos taken by Emilie Le Brice in May 2007. 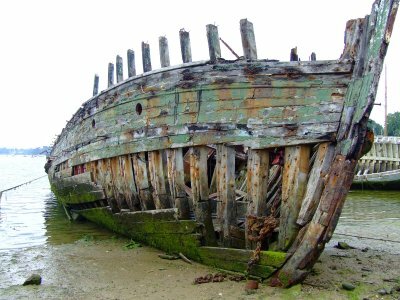 This magnificent wooden hull, where you guess even the green paint that covered, is what remains of a former "Vedettes Vertes". These boats provided crossing between Dinard and Saint-Malo. Here under one discovers the super-structures that have collapsed. They were still up in 2002. 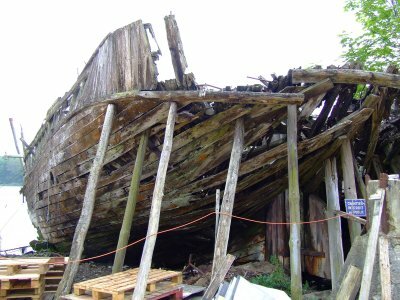 There are also some wooden fishing boats in relatively good condition as the ONDINE (imm. PL 192356). 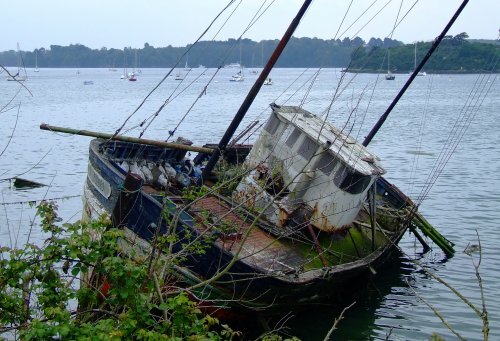 Do you know the history of this boat? Known in the register of vessels as PHILIPPE MARTINE (GV 302680), this fishing vessel is marked yet as SM 302680. She must date the 60'.